This article provides a checklist of the fields you need to complete within the contract page in order to run royalties successfully. For instructions on how to complete these sections, see the Edit a contract article. Fill in the royalty statements section. 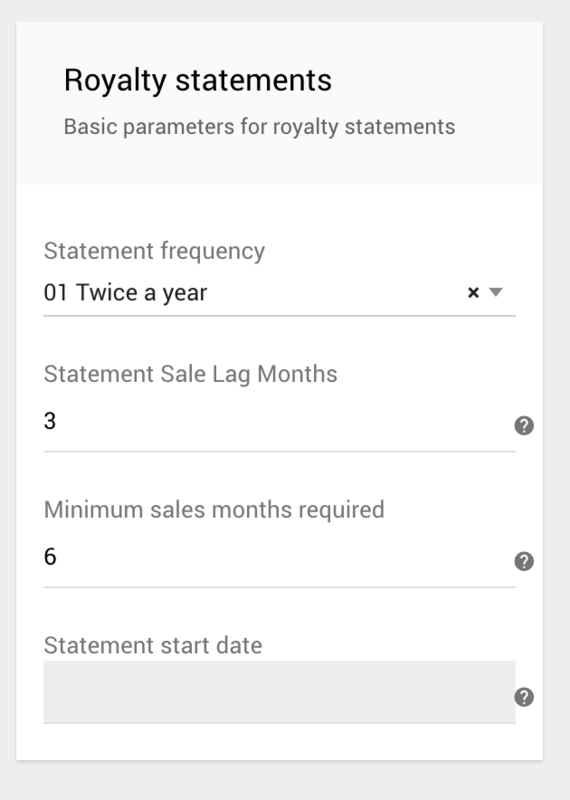 Fill in the royalty specifiers section, adding a royalty rate plus escalators for every sales channel you plan to import sales from, and run royalties on. Fill in the advances section, if you pay advances. Fill in the payments section with the actual historical payments that left your bank. Fill in the reserves section if you withhold royalty money against the future possibility of returns for credit. Fill in the payees section, adding each payee who should receive a royalty statement.